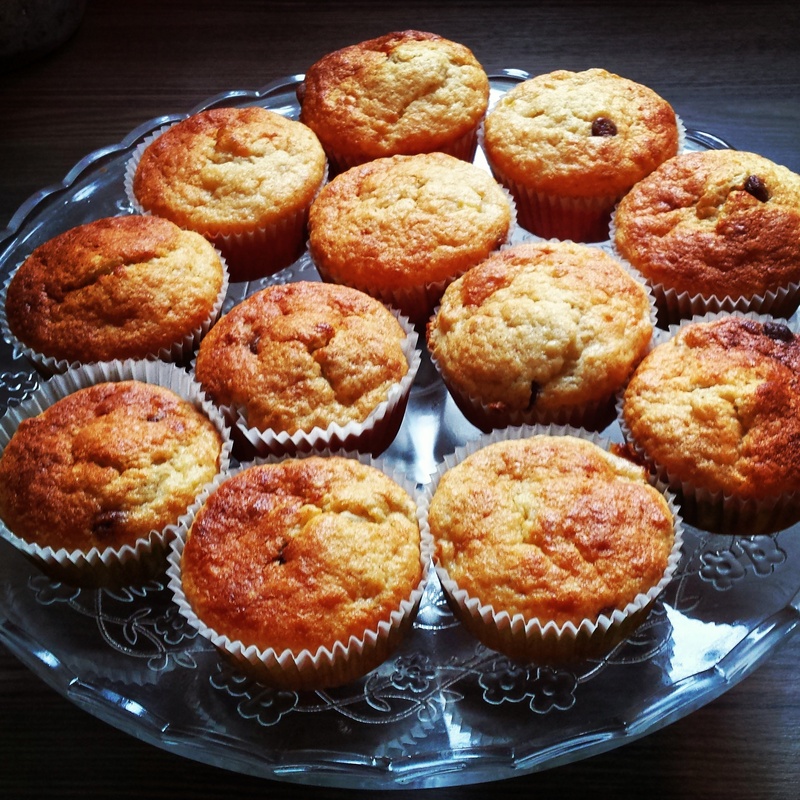 Banana and Choc Chip Muffins | 101 things to do with kids! 101 things to do with kids! We had a bit of spare time before school one morning as I had been ultra organised at getting up and also didn’t have to make packed lunches for once (free trial of school dinners! 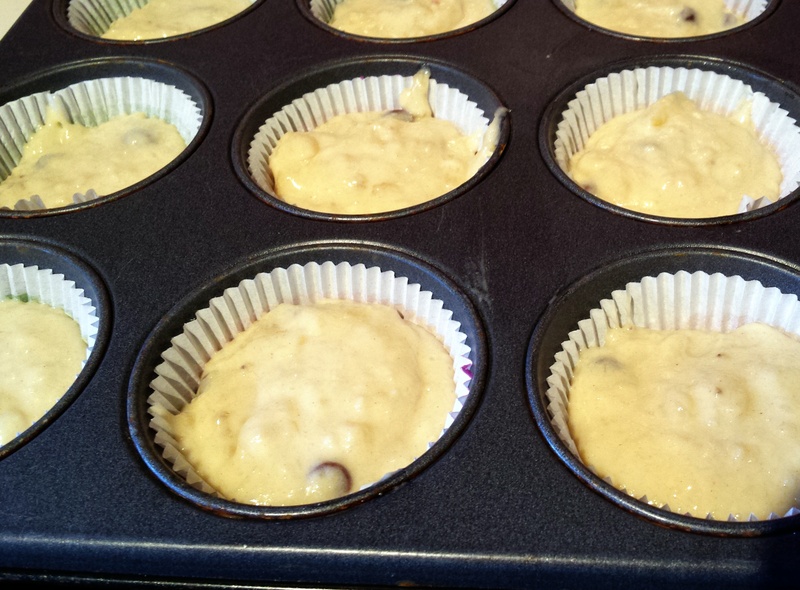 ), so I decided we should bake some muffins. 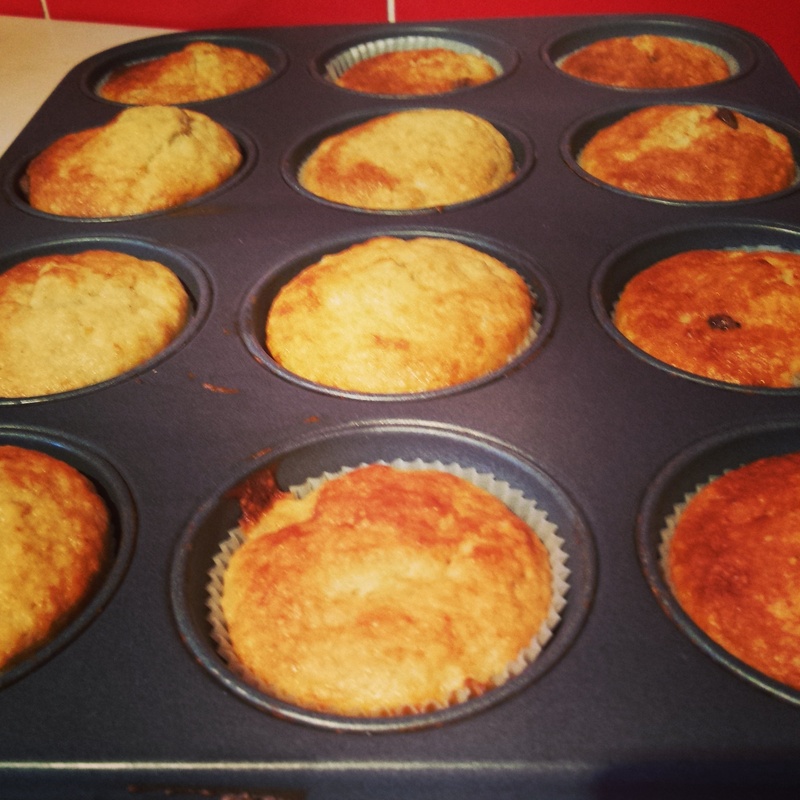 And as we had a number of slowly over-ripening bananas, and having seen a couple of friends having written about similar muffins I chose to do some of these with the addition of chocolate chips! I would have followed the recipes I had seen but they all write in cups and I cannot fathom how to convert this to grams or ounces! So I found a recipe in a book. Yes another actual recipe book… In fact it was a book called Pooh’s Yummy Cookbook. Interesting name choice! Anyway I butchered their recipe for banana bread, based on what ingredients we had and wanted to use and set to work. Half a packet of chocolate drops. As I had 2 little helpers. I divided the jobs between them, and for once this worked without any arguments. I did take them to opposite sides of the kitchen for a while to begin with which may have helped! 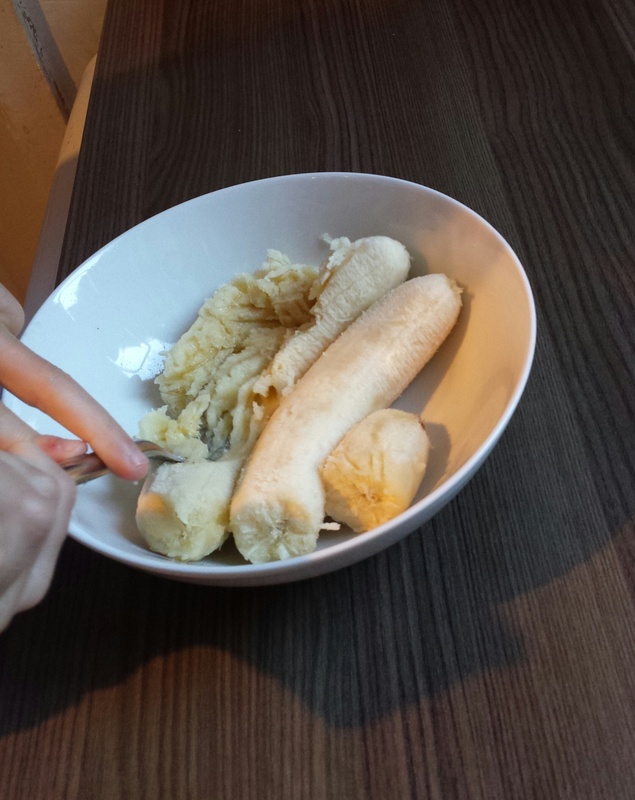 Firstly Rachel mashed up the bananas. 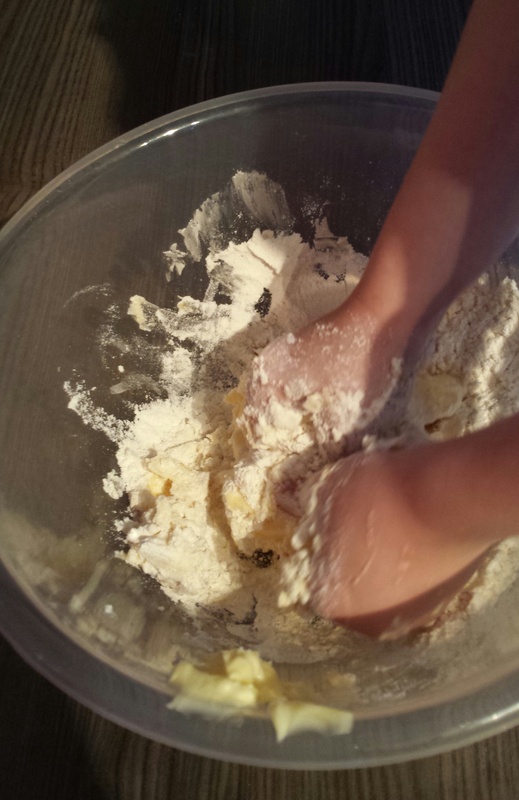 While she did this, Jack rubbed the flour and butter together in another bowl. Then they cracked 1 egg each and took turns to lightly beat. Then we added the sugar, bananas, eggs and chocolate drops and gave it a really good mix. We spooned the mix into cake cases that mummy had already prepared. Then we placed into the preheated oven (200°C in our fan oven) for approximately 15 minutes until starting to go golden brown on the top. They were lovely and moist and they were indeed yummy! ohemgee. I can’t believe you had time to do this before school! Mum of the year! They look gorgeous too! Check out 101 things to do with kids Vlog channel here! Looking for something else? Then search our site here!